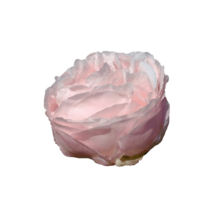 Paeonia Omeo Snow is a white peony with a pink blush that will take your breath away. The shape of the flower is very similar to Mother's Choice, but in terms of colour, Omeo Snow is a lot whiter. Paeonia Omeo Snow is a double-flowered peony that opens up in the shape of a rose. The bud has a slight pink hue on the inside that will clear during blooming. Eventually it will turn bright white. 2017 was the first year we carried Omeo Snow in our assortment. As far as we are concerned that may remain that way for a long time to come, because Omeo Snow truly is a beautiful peony. Omeo Snow is a peony that opens well, but slowly. Cut the stems diagonally 2 cm from the bottom and put it in lukewarm water.